Home insulation is an important part of your house and a properly as well as adequately insulated house is essential not only to save energy cost and meeting energy standards but also the occupants in the house can live comfortably. With that being said even though home insulation is important, not every part of the house requires insulation. 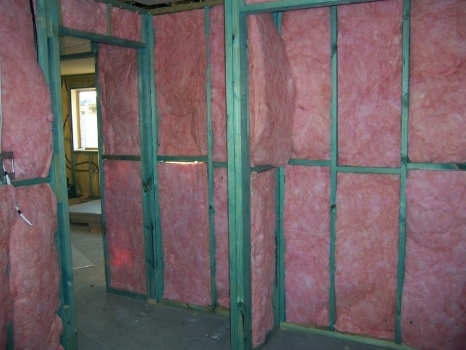 To find out which area or part of your home requires insulation, read on. 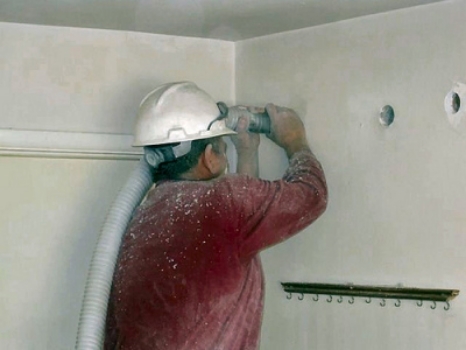 The following paragraphs describe a couple of do-it-yourself (diy) steps in which you can take to easily determine the area or parts of your house that requires adequate insulation. Basically, the following areas of your house are the area or parts of your house that requires home insulation. You can refer to the diagram below to determine where to insulate. 1 Ceilings below an unheated area. 2 “Knee” walls of a finished attic level room. 3 Floor of a crawl attic. 4 The sloping portion of the roof in a finished attic. Leave a airspace between insulation and roof. 6 Floor above cold crawl spaces. Floors above a porch or an unheated garage. 7 Walls of a heated basement. In addition to the need for insulation of the building shell (exterior walls, ceilings, and floors), all hot-water pipes and heating as well as cooling ducts that pass through unheated portions of the house (such as crawl space, garage, or unfinished attic) must be insulated. 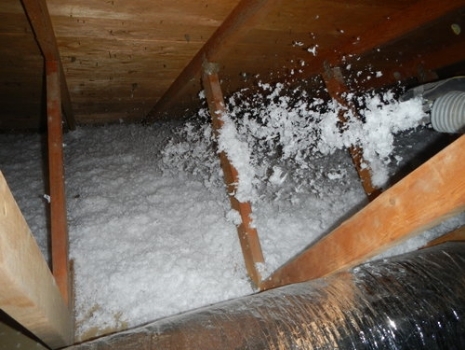 Most houses usually have no more than 1 or 2 inches of insulation wrapped around ducts in unheated areas. 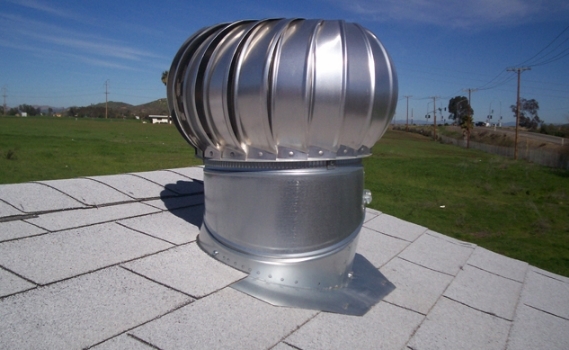 Because of increasing fuel costs, this is considered minimal for most areas, and additional insulation can usually be justified. Check the condition of the insulation. Are there any loose, torn, or missing sections? Also, if there are any exposed duct joints, check them to see if they are sealed tightly. When the ducts are used exclusively for air conditioning or serve a dual function (such as heating and air conditioning), the outside of the insulation should be covered with a vapor barrier to prevent condensation. 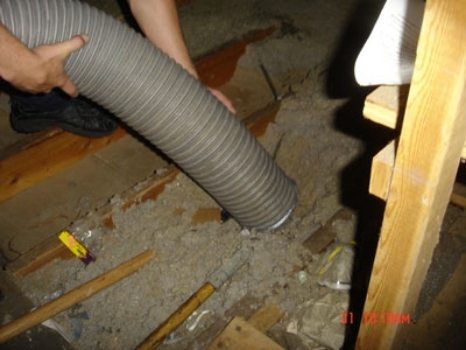 A vapor barrier, however, is not needed on ducts used only for heating. 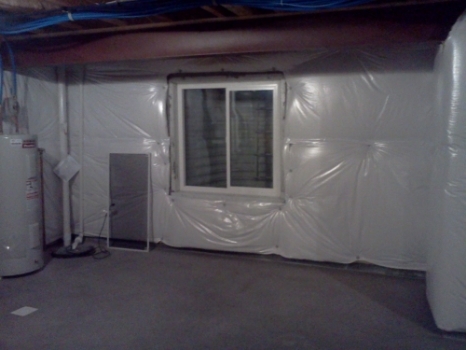 If there is a vapor barrier on the ducts, check its condition. Look for torn and missing section. All vapor-barrier joints must be tightly sealed. If the domestic hot water is produced in a tank-type water heater located in an unheated area, the tank should be covered with an insulation jacket. These jackets can be purchased in most building-supply or hardware stores. Although tank-type water heaters are normally insulated by the manufacturer, by installing an outer insulation jacket, you will further reduce heat loss and thereby minimize the energy needed to maintain the desired water temperature. The temperature of the hot water should not exceed 140ºF. Temperatures in excess of 140ºF are not only wasteful of energy but will also shorten the life of the water heater. Simply put, all the exterior walls, floors and ceiling that have contacts with unheated areas such as attic, garage, crawl space and basement requires insulation. Other than the structure of your house that requires insulation, the water pipes, air conditioning ducts as well as water heater requires proper insulation as well to reduce heat loss.